BOSTON, MA – October 24, 2017 – TRIA, a partner-led architecture firm with a focus on science and technology organizations bringing new discoveries to the market, announced today the completion of a new 12,300 SF headquarters for Oncorus®, Inc., a biotechnology company developing a portfolio of next-generation immunotherapy products to treat several types of cancer. 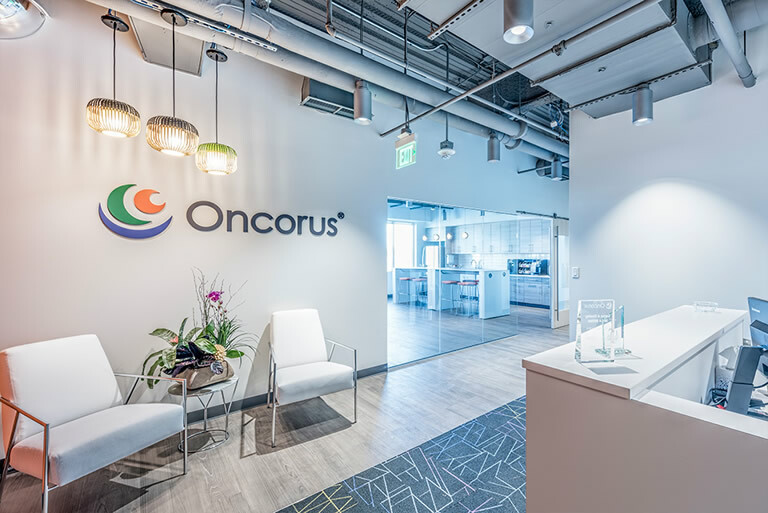 Located at 50 Hampshire Street in Cambridge, Mass., Oncorus’s new headquarters features an efficient and flexible workspace that supports the company’s scientific research mission and reflects the company’s branding and culture. The TRIA design team took a holistic approach to the design of Oncorus’s headquarters. The interior designer and lab designer worked closely to design a cohesive integrated space with a variety of work areas, including labs to support highly specific needs, conference rooms for technical presentations, and collaboration areas for impromptu meetings and social interaction. Special attention was paid to the separation of work spaces and work flows in the company’s specialty lab functions. Work stations along the window line allow natural light to penetrate deep into the space, and conference rooms on the interior feature glass walls to offer transparency. 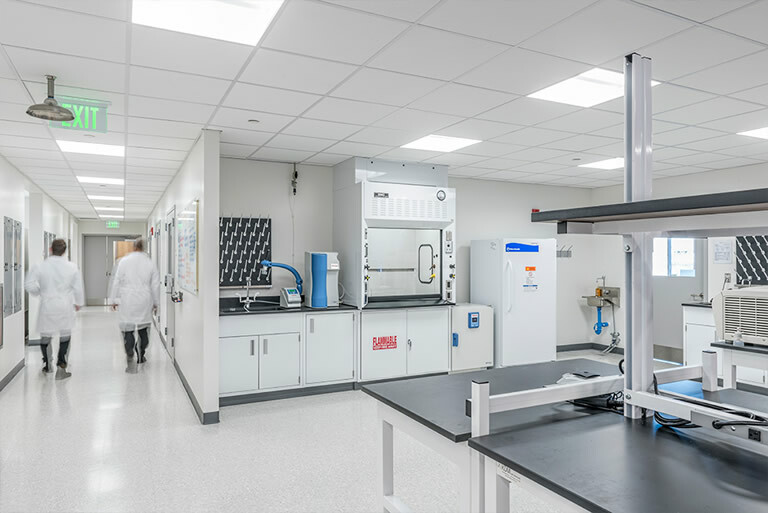 One of the conference rooms features a wall-sized window to the company’s lab, providing a view to the exciting scientific discoveries taking place. Oncorus’s headquarters also includes a versatile kitchen/break area that can accommodate all-company meetings. Specialty design features, such as a rustic-inspired reception desk and a barn door in the kitchen area, bring a stylistic edge and uniqueness to the space. Pops of selective color in the furniture and wall paint convey warmth and energy. Sustainable materials were used wherever possible, including LED lighting with automated controls, recycled materials, and locally sourced products. Oncorus is a leader in corporate philanthropy and has taken a pledge to donate a portion of product sales revenue to fund promising cancer research and to support cancer care in the developing world.